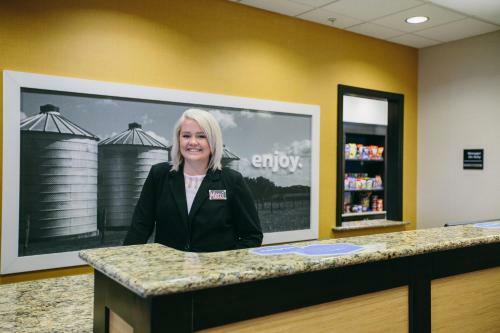 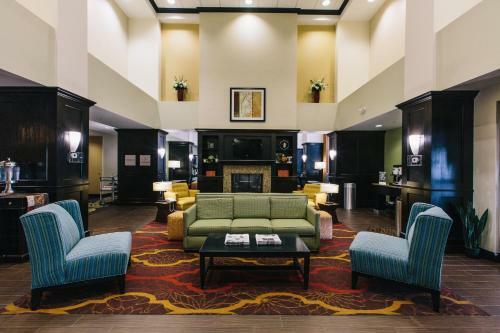 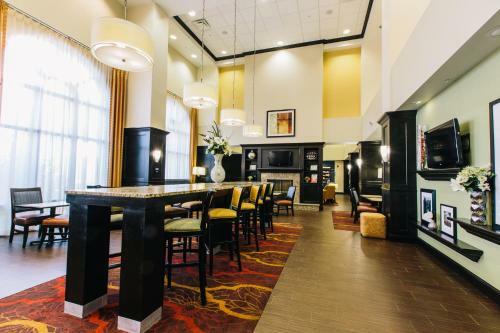 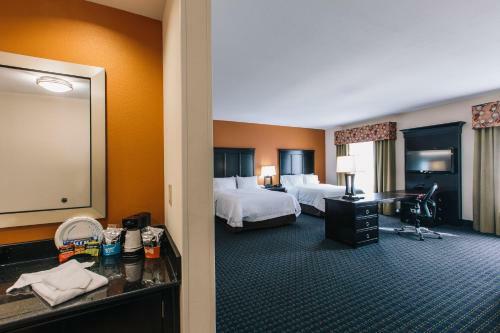 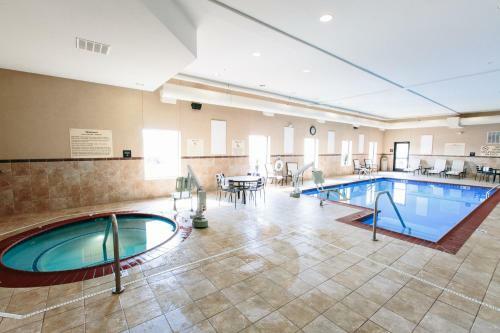 Featuring an indoor pool, this Effingham, Illinois hotel is 6 minutes’ drive from Lake Sara. 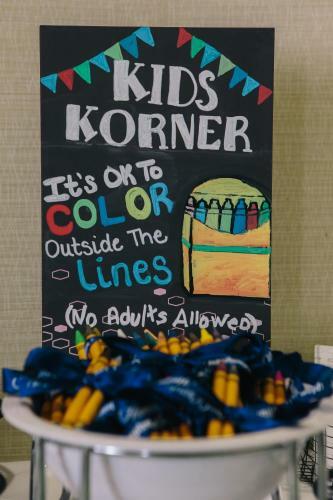 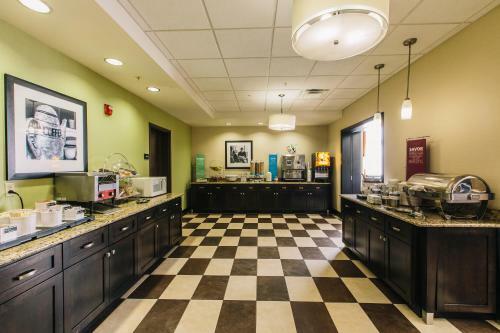 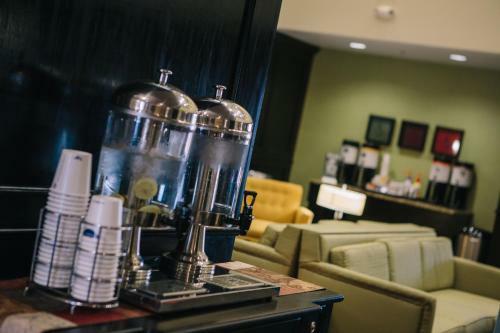 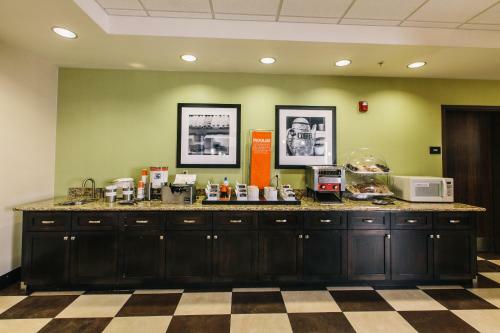 Free WiFi access is available, and a continental breakfast with hot items is served daily. 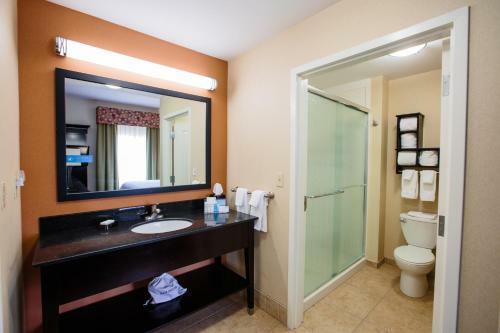 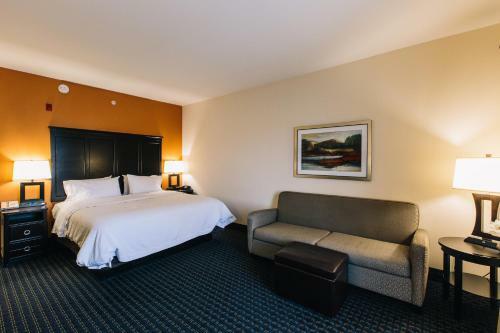 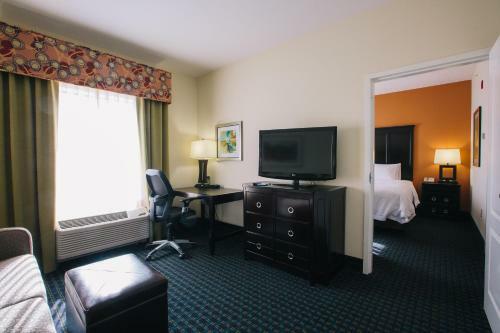 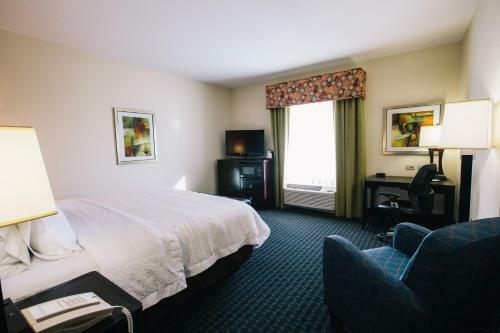 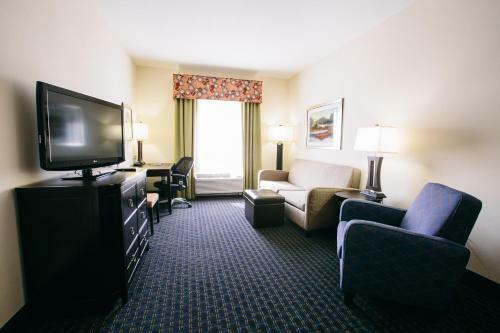 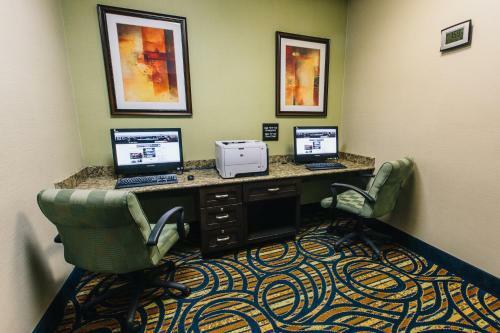 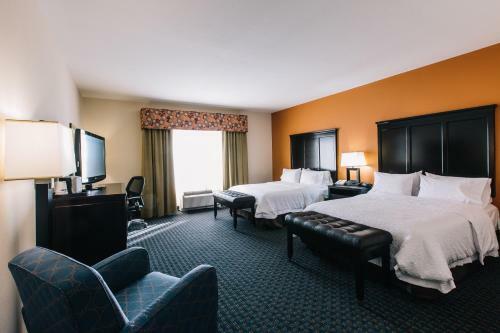 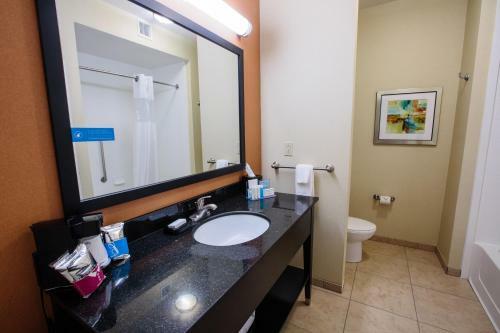 A flat-screen cable TV is provided in every room at Hampton Inn & Suites Effingham. 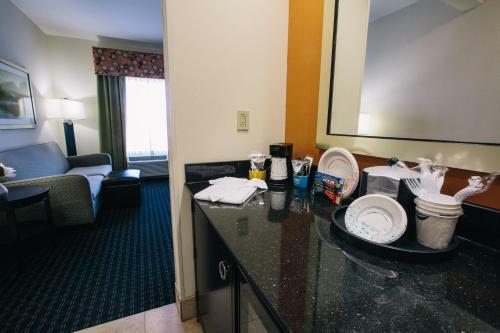 For convenience, a microwave and refrigerator are also included. 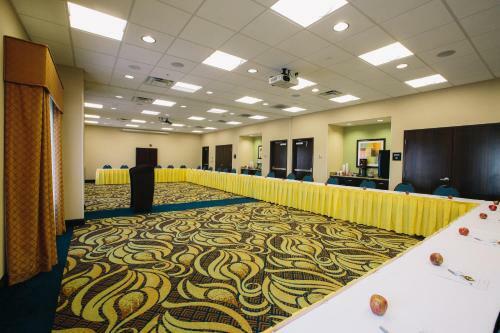 Extras include a desk and hairdryer. 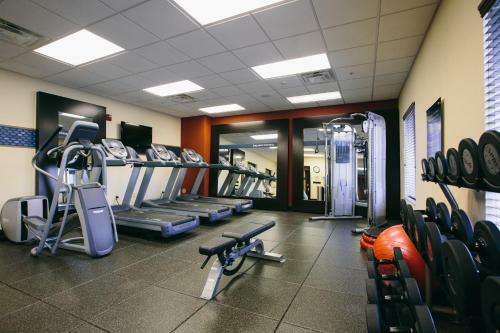 A fitness centre is provided on site at Effingham Hampton Inn & Suites. 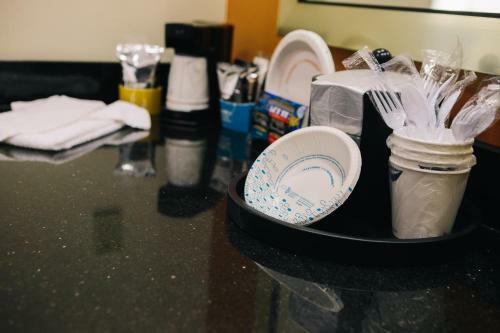 Other facilities offered at the property include luggage storage, dry cleaning and laundry facilities. 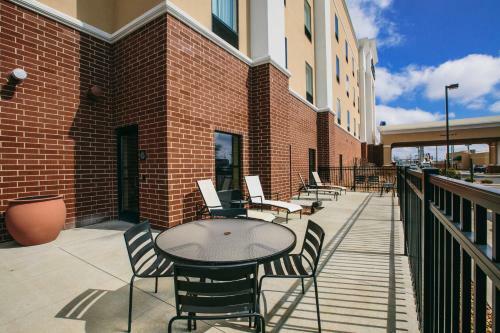 The property offers free parking. 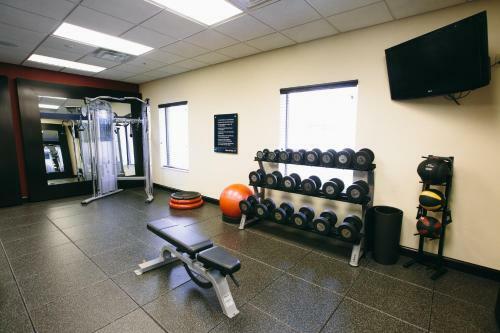 The TREC Trail can be reached in 4 minutes’ drive. 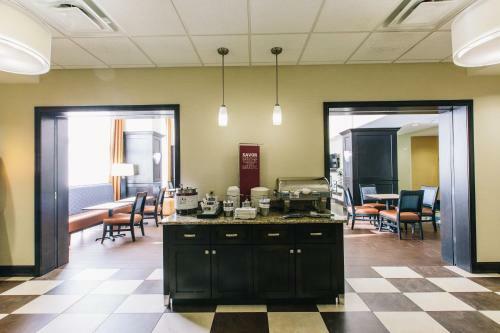 Tuscan Hills Winery is 6 km away. 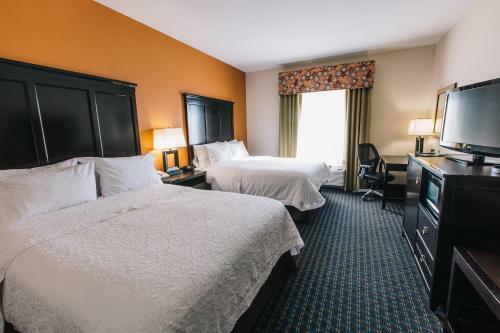 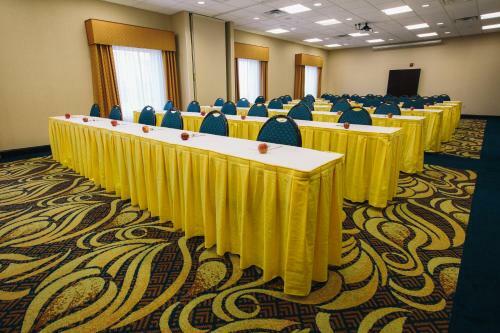 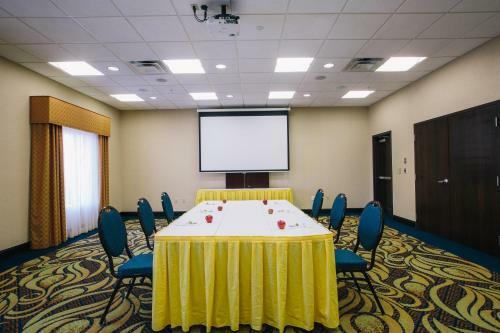 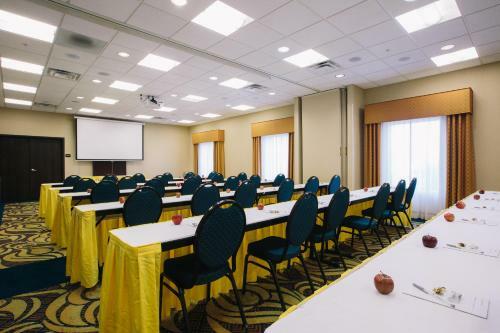 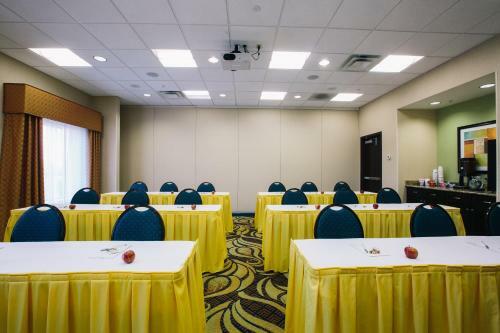 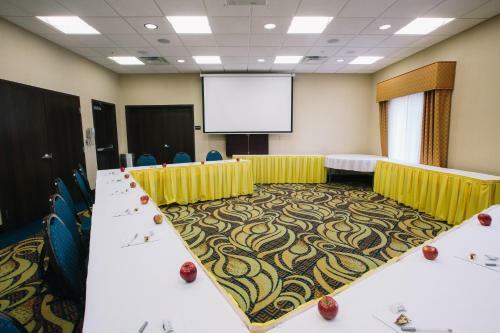 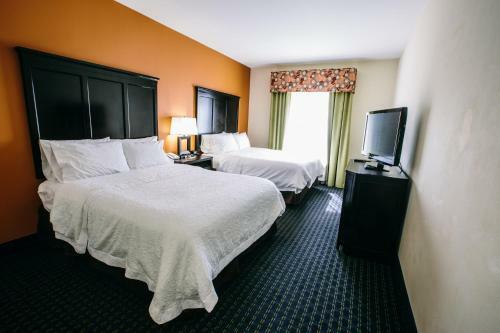 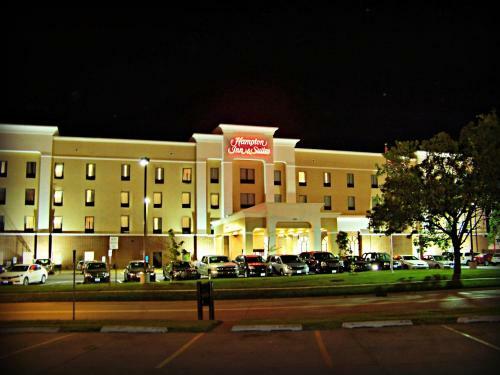 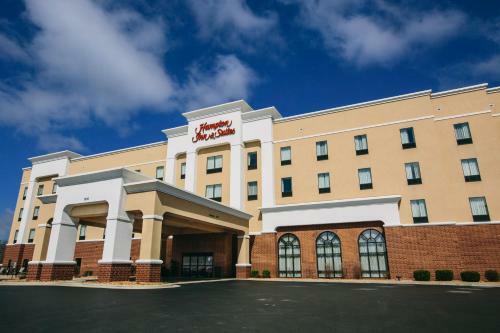 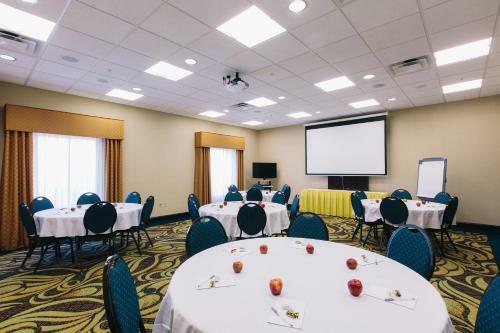 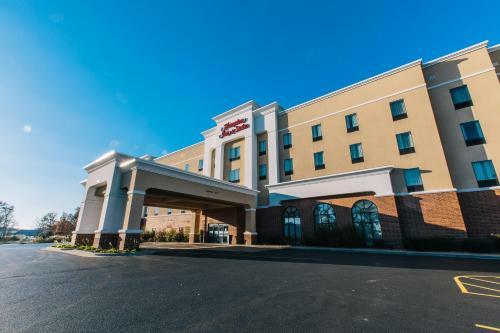 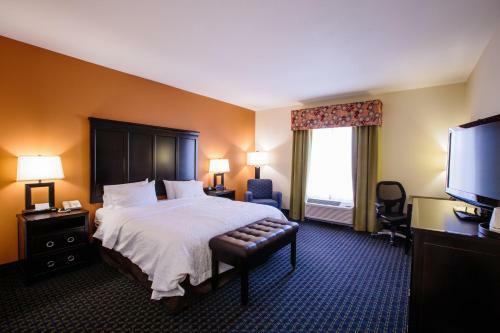 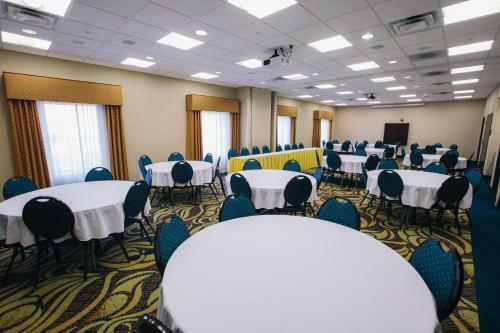 the hotel Hampton Inn & Suites Effingham so we can give you detailed rates for the rooms in the desired period.